Domani Yarn Dyed Vintage Washed Linen is pre-washed to create softness with a relaxed, lived in look. Pure linen has a beautiful lightweight texture, giving a lovely sense of freshness and comfort. 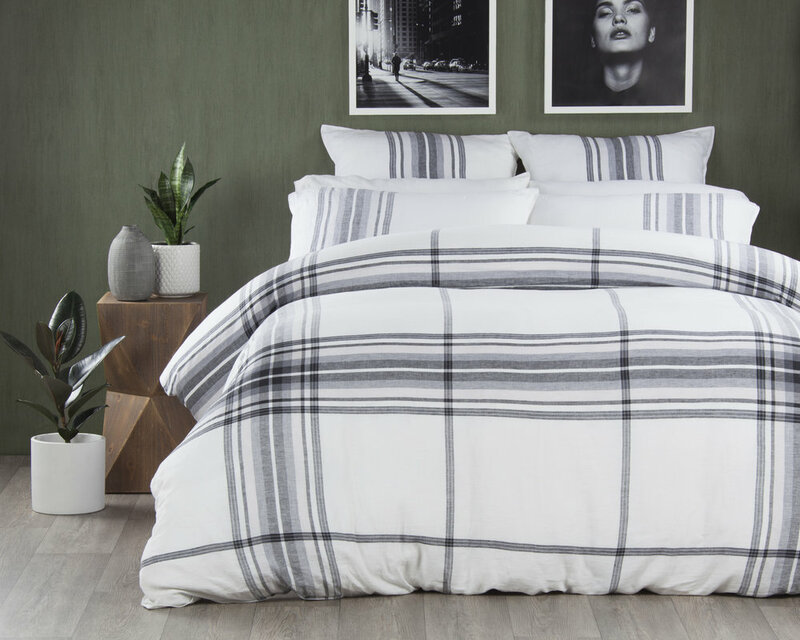 Set includes: duvet cover and 2 pillowcases. Duvet cover: Front 100% Linen, Reverse 100% Cotton.